Caring for your business and making sure the property appearance is spotless and well-kept is the first impression of all your clients and customers when they visit your company. 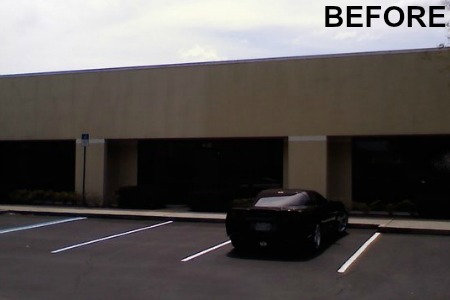 Peachtree Pressure Washing offers commercial power washing services to keep your business looking its best. Not only are our commercial cleaning services the best in the area, so are our commercial power washing prices. We want to clean your working space, not wash away your bank account. Our highly competitive prices are not the only great thing about our commercial pressure washing business. Our teams of power pressure experts are trained in the state of the art equipment and cleaning processes to ensure the job is done effectively and efficiently each time the first time. Commercial pressure washing service is something that should never be done without hiring a professional. The job is very dangerous. You could cause harm to your building and yourself. Not only that, but you could cost yourself more than the job is worth. Hiring us for all your power washer commercial needs is a wise and affordable decision. ​ Our top services keep your business looking in tip top shape. The first impression is the only impression. Taking care of your building allows for many years of services and making sure safety is a priority. Exterior building cleaning and concrete pressure washer are usually the areas that need the most attention when it comes to commercial pressure washer services. 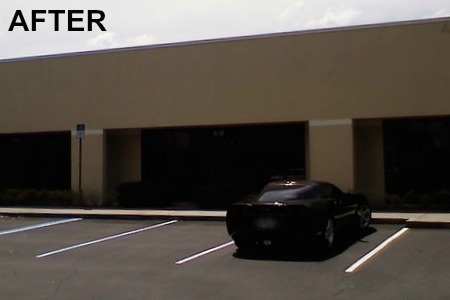 We have the latest technology and equipment that allow us to treat the exterior of the building and the concrete around your business with care and ensure that no damage is done in the cleaning process. When owning a business one of the most important things is safety for your customers and clients. Sidewalk cleaning ensures that your sidewalks are free of debris and clean of mold or other organic materials that can cause the surface to become slick. We offer power wash sidewalk services that remove this build up and keep things looking neat. If you own a storefront you receive a lot of foot traffic. It is important to have the sidewalk clean and safe at all times. Calling us at (678) 335-9311 to complete a pressure washing sidewalks job is safest and easiest way to make sure your sidewalks are as clean as can be. ​ We also make sure that all our concrete cleaners are environmentally safe and plant friendly. ​ There are many local power washing companies in the Atlanta, GA area, but none are like our company. We are able to set ourselves aside with keeping our pressure washing service prices affordable and knowledge of the industry along with the best state of the art equipment. This allows for use to complete a job with the right tools and the right products ensuring that no damage is done in the process. Our pressure washer service can help your company's property be clean and stay that way. Keeping the outside of your building free of dirt, oil, grime, gum, and other organic materials require a professional cleaning service. We deliver outstanding service with great customer provision. Our services keep your commercial property looking maintained and allows you to keep that up kept look that will impress your guests. Along with keeping our power washing cost low for exterior and sidewalk also offer commercial truck wash services at a great rate. Keeping your business clean also includes your equipment as well. We even offer pressure washing trailer services for local companies. So that means that we can clean your truck and trailer to keep them looking at their best. We offer services for all your commercial needs. 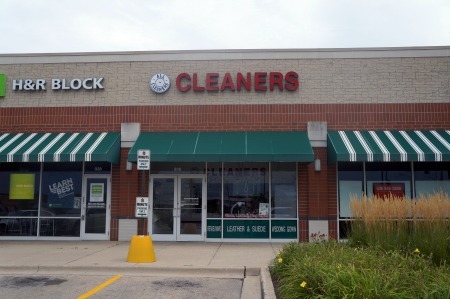 We are able to offer a service that cleans and maintains your commercial properties. What sets our team aside from other companies is that we just don’t send a team out to your location and allow them to turn on the washer and blast away at your business. That not only causes harm to your building but can cause accidents as well. Our job is to clean your business surfaces by not harming the environment around it. Blasting the washer and using harmful chemicals can also cause harm to your landscaping and leave your business looking worse than before. Our team of experts are trained and fully educated on the process of using high power and low power washers. We also use eco-friendly chemicals to clean every crack and crevice. These also lift away dirt and kill mold and mildew. The process used is strong enough to remove all the weather stains, build up, mold, mildew, and even grease but gentile enough on the environment that it won’t harm a plant or animal. Our job is to wash away the grime not the life living around it. When hiring our team to complete any of our services we are able to complete a job by removing the surface dirt and grime for a long lasting deep clean. Hiring the wrong team to complete the job could leave you surfaces with gouges and scratched to the surface. This type of damage is irreparable. No one will do a better and more professional job than Peachtree Pressure Washing. Our process, our equipment, and crews will leave your business looking as good as new. 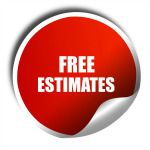 Call us today at (678) 335-9311 for a free estimate. We are able to send a team member out to your location and give you an estimate today.